Most parents know that kids shouldn’t spend too much time in front of a smartphone or tablet. Indeed, several studies have linked excessive screen time with expressive speech problems. That’s why you need to limit your child’s screen time, and when they do have screen time, make sure they spend it in the best possible way. So rather than playing purely entertaining games for hours on end, why not help your kid’s development by engaging them with some of these educational apps for kids instead? There’s no shortage of high-quality reading apps and websites for kids. With a bit of digging, you can find something that perfectly matches your child’s interests and abilities. An excellent all-around app for young learners is Hooked on Phonics. It’s aimed at kids between the ages of three and seven. It uses interactive learn-to-read tools developed in conjunction with the US Children’s Reading Foundation. The 200 songs, games, ebooks, and lessons correspond with federal reading proficiency standards, so you’ll be able to make sure your child is on track. The ultimate goal of these apps is to teach a child new concepts without them realizing it. If an app is too educational, kids are likely to lose interest sooner. DragonBox Algebra meets those requirements. It teaches kids aged five and older the basics of addition, subtraction, division, and multiplication. An educational app should be both informative and visually stunning. My Incredible Body meets these requirements. You can take a rocket ride around the body to see how everything works. All videos and images are medically accurate. At any time, you can stop the ride and watch the body in action. For example, you can see a video of what happens to the lungs while breathing or how the heart functions while you’re exercising. Questions on specific topics are available through in-app purchases, thus letting your kid test themselves on what they’ve learned. There are nine topics to choose from, including Brain and Nerves, Lungs and Air, Kidneys and Urine, and Puberty and Human Reproduction. 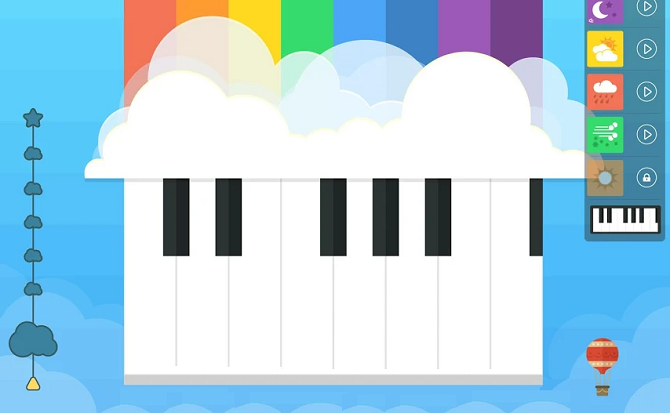 Designed by an Ear Training Professor, Easy Music aims to introduce children to music theory from a young age. It’s suitable for kids aged three and older. Your child will learn about notes, pitch, rhythm, and melody through the use of virtual instruments, genres of music, and everyday objects. The app offers two modes: Practice and Compose. Once the player has the basics of the theory nailed down, they can move into the compose mode and try to create their own musical masterpiece. Lots of history apps focus on specific eras such as the Roman Empire, Medieval Europe, or the two World Wars. 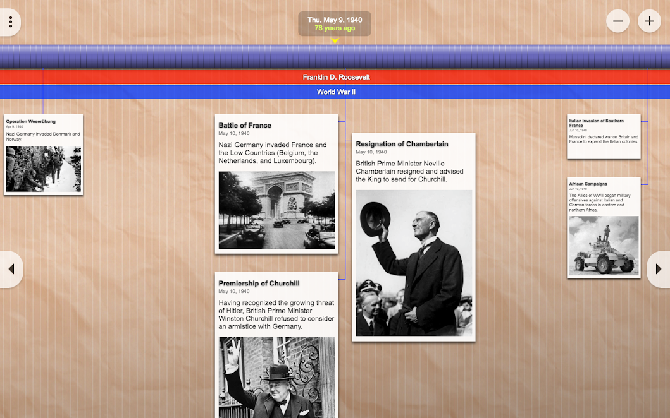 However, if you want an all-around app that deals with the entirety of history, grab Timeline Eons. It’s impossible to convey how much information is included—it deals with all natural and human history since the very beginning. You can zoom in and out of the timeline for more detailed breakdowns of particular times. At its most zoomed in, the scrollable timeline is longer than the circumference of the Earth. You can even use the data to create your own timelines; it’s useful if you’re trying to engage your kids with a specific topic or age. GeoBee Challenge is developed by the National Geographic Society and is based on its National Geographic Bee competition. The competition is open to kids in grades four to eight, but the questions are challenging for older kids too. There are two rounds of gameplay: multiple-choice and map challenge. 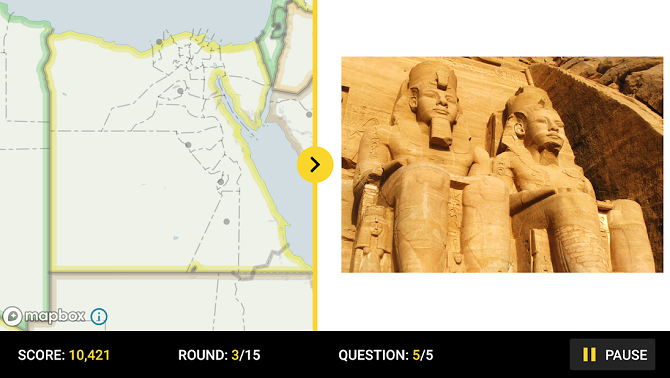 The app offers more than 1,300 multiple choice questions, all featured at some point in the National Geographic Bee. In the map round, kids need to identify locations. Spanish is arguably the most practical language for English-speaking westerners to learn. It’s the second most widely-spoken language in the world after Mandarin, and more than a sixth of the people in the United States are now fluent in it. If you want to give your kid a head start, download Spanish School Bus. It uses the Montessori-based learning approach to introduce children to 300 common Spanish words across topics such as colors, animals, food, and travel. There’s also a healthy dose of Spanish and Latin culture, with introductory information about historical figures, landmarks, music, and art. If you want to learn alongside your child, check out our list of unusual ways to learn a foreign language using technology. For a drawing app that’s specifically geared towards kids, check out Art of Glow. It lets kids create brightly-colored neon artwork using finger swipes. You can also make art into a short video. Your kid’s creations will instantly come to life. The moving, vivid colors on the black background are guaranteed to keep a child entertained for hours. For something more advanced, perhaps your child could learn to use drawing software such as Autodesk SketchBook. In the technological age, all kids should have some rudimentary programming knowledge. In our opinion, it’s a disgrace that programming is still not part of the core curriculum. codeSpark Academy is for children between the ages of four and nine. The app introduces kids to the fundamental principles of coding, then lets them practice what they’ve learned. The practice takes place across drag-and-drop games, puzzles, game design, creative projects, and even offline printables. The entire app was developed in conjunction with experts from MIT, Princeton, and Carnegie Mellon, so you know you’re using a quality piece of software. Another glaring omission from the core curriculum is finance and money management. It’s never too early to establish the basics of saving with your kids, and you can introduce more complex financial principles as they get older. FamZoo is the solution. It acts as a centralized, parent-run bank for kids. You can assign monetary values to chores, add pocket money to kids’ accounts, instigate financial penalties, and pay interest. As your kid becomes older, you can add a pre-paid card to the account. You can load the money onto the card, then keep track of which stores your child is spending it in. You can even block certain stores and merchants. Mobile apps are just one part of a parent’s educational armory; you should not exclusively rely on them. Make sure you take your kids outdoors, into museums, and on trips—they’ll all help to give your child a balanced education. And remember, you have many more techie ways of learning that aren’t necessarily app-based. You could play some educational Chrome games, 3D-printed educational toys, or even a selection of older educational game classics.